Set right on the coast, Kompas Nieuwpoort offers families an excellent range of modern amenities to make use of. When you book through LuxCamp, every little detail will be taken care of for you. 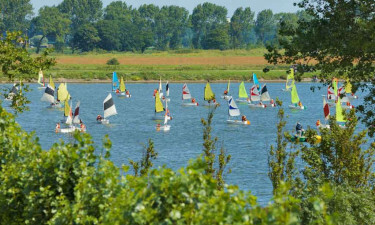 Learn more about Camping Kompas Nieuwpoort.. Guests who have a love for history and vulture will find plenty of exciting daytrip destinations to explore during their camping holiday. The vibrant city of Bruges is just a short drive away, while special trips are also organised to destinations such as Nieuwpoort and Veurne. 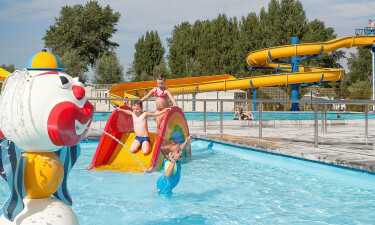 Why choose Camping Kompas Nieuwpoort? 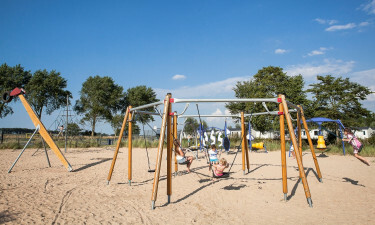 Luxury camping lovers are sure to want to spend plenty of time on the beautiful sandy beach that can be found a short walk from the edge of Kompas Nieuwpoort. A special car service is available to take guests down to the sand, while bicycle rental is also available. The large water park in the heart of the site is a great place for guests of all ages to play and unwind. Older children and adults can have fun on the looping waterslides, while a colourful aquatic play area is available for younger children.